Posts Apocalyptic Montessa Goes Live! Her mama always said she was special. His daddy called him a demon. But even monsters can fall in love. Everybody! My friends! I am so excited! 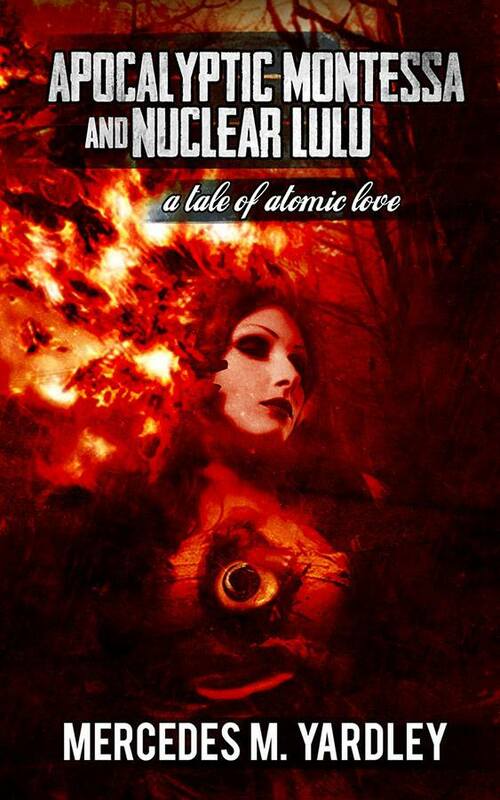 The digital version of Apocalyptic Montessa and Nuclear Lulu: A Tale of Atomic Love has just gone live! Print copies should be available in a few weeks. If the guys from Ragnarok Publishing were here, I’d hug them. Have $3 to spare? Then pick up a copy and maybe be the first to leave a review. More than anything, dance with me! I hope you enjoy my very first novella. IT SEEMED A SHAME TO BE SO CLOSE TO THE SEA and not to dabble in it just a little. There was nowhere Lu liked better. Sometimes he thought he’d been born of the sea, a Boy of Sorrows, and one day he’d simply walk back into the waves and disappear. She stared at the ocean with a fierceness that belied her earlier good nature. He saw long canines, guillotines, and axes in her eyes. Had he been the laughing type, he would have laughed at this. But it didn’t seem terribly funny. It just seemed terrible. She leaned back against the seat. Lu sighed. Hopped out of the cab, went around, and wrenched Montessa’s door open. Her hands, still padlocked to the door handle, were yanked away, and she nearly fell out. Lu grabbed her wrists, looked into her eyes. “Are you going to scream?” he asked her.